The warm summer months make for a lot of great opportunities to gather the family outdoors for some fun activities. The possibilities are endless as far as what you can do for fun! Our family enjoys going to the beach, swimming, hiking, taking trips to visit family and friends, and of course one of my favorites is enjoying all the local festivals over the summer months! One thing I always have to be mindful of though is sun safety. Of course sun safety should be practiced year round, but during the summer is when most of us get those nasty sunburns that are easy to prevent if we just take the necessary steps to prevent them! As a Coppertone Water Mom I have had the great pleasure of learning over the past few years some helpful tips myself that I love sharing with all of you! The following are some of those helpful sun protection tips to help keep your family safe. Tip 1: Are you educated on what the UV index means? If not, Coppertone can help you and your family easily decode it by visiting Copertone.com. Understanding the UV index ratings helps you take better safety measures to safeguard yourself and your family! Tip 2: Be sure to remember that sunscreen needs to be reapplied every two hours during and after swimming, sweating, or towel drying. Tip 3: Keep yourself hydrated by drinking plenty of water when in the sun! Tip 4: Make sun care part of your morning routine. Apply sunscreen together as a family before heading out the door and wear sun-protective clothing whenever possible. Tip 5: Remember when applying sunscreen to get the "hidden zones" which include the ears, neck, the back of the hands, the top of the feet, and part of the hair. *Disclosure: I was not provided any form of compensation for this post. 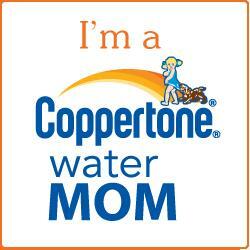 This post was done on my own behalf as part of my involvement with Coppertone Water Moms. All opinions expressed in this post are 100% mine and are not a result of any outside influence.